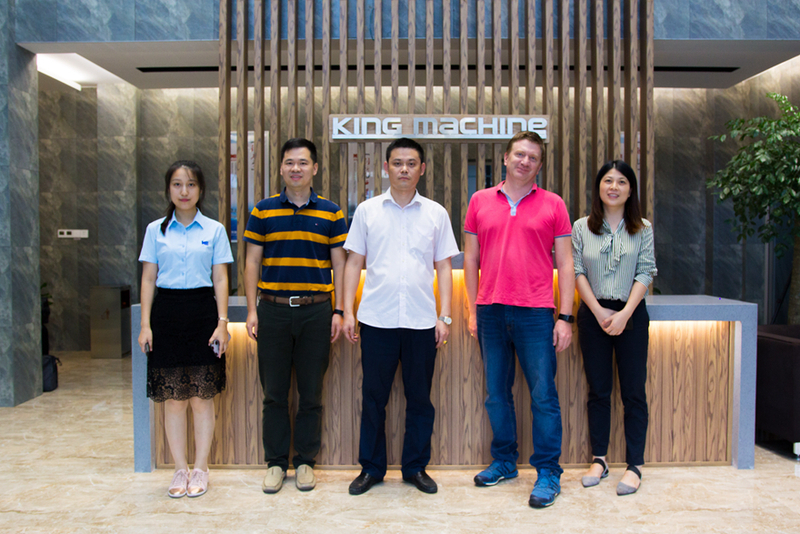 On June 7th, 2018, The customer Mr. Dirk from German visited the factory for the first time. We entertained him warmly and listened to him explaining the requirements of his equipment. He needs a paraffin liquid filling machine. Due to his special requirements for equipment, we have given some reasonable suggestions. Although he agrees, he also puts forward a lot of strict requirements, and tells us that he also inspected several manufacturers at the same time. We are not his first choice. Our engineers team discussed this project according to his requirements and gave a suitable plan for his reference. He also questioned some technical issues in the plan. We gave him answered based our expertise and received his approval. On July 14th, 2018, He visited us for the second time. This time he brought all his bottles and caps. Our engineers also stated and demonstrated how to achieve filling and sealing perfectly. He was very satisfied. After Mr.Dirk returned to Germany, he and his team discussed and decided that our factory’s plan made them very satisfied. On September 21th, 2018, He visited us again. We discussed again and described in detail how to meet all his details. He praised the scale of our entire factory, gave high marks to the attitude of the business personnel and the professionalism of the engineers. Finally he signed the contract directly and happily with us. The customer Mr.Dirk’s request is very strict each time, he also knows the product very well, so our company’s business personnel and engineers also put a lot of effort into this project, several times all night long, countless solutions reset, project research The best of all, and finally overcome the difficulties, only to give him a satisfactory answer, it is our dedication and professional touched him. We always believed that success is never luck, but our profession and dedication! The capacity of 5000– 40000 BPH for hot filling, MID-temp filling, aseptic cold filling lines. The capacity of 5000– 40000 BPH for mineral water and purified water producing line. The capacity of 5000 — 36000 BPH for carbonated beverage producing line. The capacity of 300 — 2000 TBH, for 3 gallon, 5 gallon.